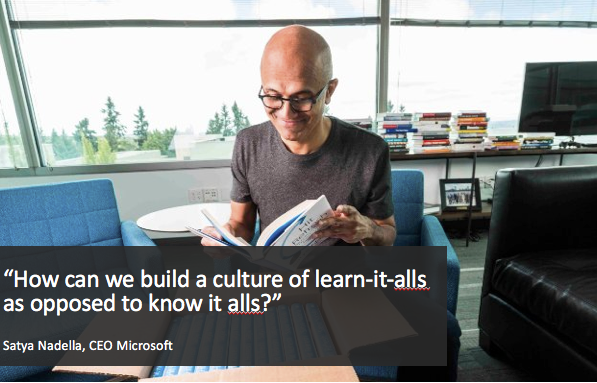 There may not be many things that the bosses of Microsoft and Google agree on, but here’s one: if you want to work at either company, you have to be a continuous learner. They’re not alone. The Towards Maturity Benchmark Report noted that 72% of CEOs believe the next three years will be more critical for their industry than the last 50. The challenge to Learning & Development teams and those they support in organisations is how to remain up to date and relevant during times of change. So far, CEOs are less than reassured of their organisation’s readiness. In Deloitte’s 2017 Global Human Capital Trends report, 90% of CEOs called out the challenge they face due to disruptive change driven by digital technologies. The majority of those CEOs said their businesses lacked the necessary skills to adapt and stay agile. Not a CEO? Then let’s make it personal. This is about all of us surviving in our careers. You’ve read the stats about how many skills and professions will become obsolete over the next 5-10 years: The Economist estimated that 47% of American jobs are at risk of automation. Learning how to do one of those jobs today is not likely to lead to a long term career. On the flip side, Forrester estimates we are going to need 500,000 more developers in the next decade. They’re not all going to go to school to stay up to date on coding developments. 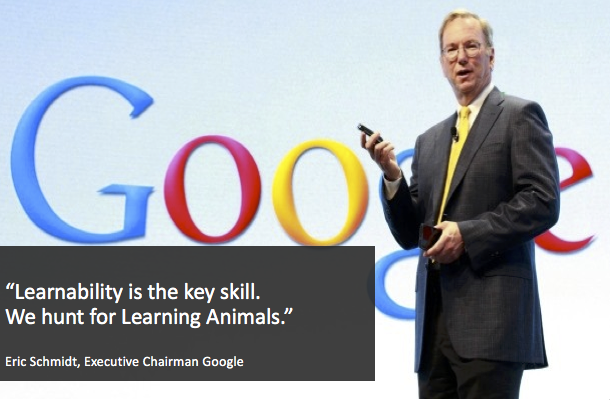 But building a habit of continuous learning may just be the key skill we all need to survive and thrive. What Does a Continuous Learner Look Like? Job security and career development is about employability. It is about having constantly updated skills and experience that are relevant and which makes an individual employable. Every industry is being disrupted and changing. Those that succeed will be the continuous learners. Easy to say. But all sorts of things get in the way. Here are 10 ways to develop that continuous learning muscle in yourself and your teams. No motivation? Then forget about it. What motivates you to develop a continuous learning habit? It could be passion for self-improvement or natural curiosity. That’s an ideal intrinsic motivation. But as my old boss Roger Schank used to say, nobody learns for the sake of learning, they learn to do things. Nuroscience experiment: Put a rat in a maze on its own. Put a rate in a maze with others. Give them the same set of puzzles. The rats in the maze together develop their neurons at a faster rate. We are not rats in a maze (though sometimes work can feel that way). But we are better learners when we collaborate. The idea of inspiration striking the reclusive genius is alluring, but rarely applies in the workplace. Sharing your ideas, building a network of experts who can help you, is a vital step in modern workplace learning. Steve Jobs designed the Pixar building with this in mind: a large atrium to allow diverse unpredictable conversations that might promote and flourish collaboration. But most workplace learning, isn’t very random. You do things in teams with the same people, most of the time. If you choose a wide range of sources for your continuous learning habit, you’ll allow for more serendipity. Jobs also said that the most important breakthroughs come when you’re standing at the intersection of two or more domains and allowing ideas to cross from one to the other. Can reading a blog post on how an engineering problem was overcome help you with a customer service challenge? Possibly. How? That’s the diverse bit. Let your mind wander into different territories while holding your original challenge in your mind. You may come back with a very different perspective. While being diverse is important, staying on top of the best content in your given field is far more important. A major blocker to effective continuous learning is too much of the wrong information. IDC estimated that we spend 25% of our time searching and processing for information. If we’re searching inefficiently, or looking in the wrong places – untrustworthy sites, out of date courses, flicking through social feeds looking for something and wondering where the last hour went – it’s slowing down our learning process and clogging up our capacity with the wrong stuff. Escape the echo chamber and stay efficient by focusing on a diverse selection of high quality, trusted sources. 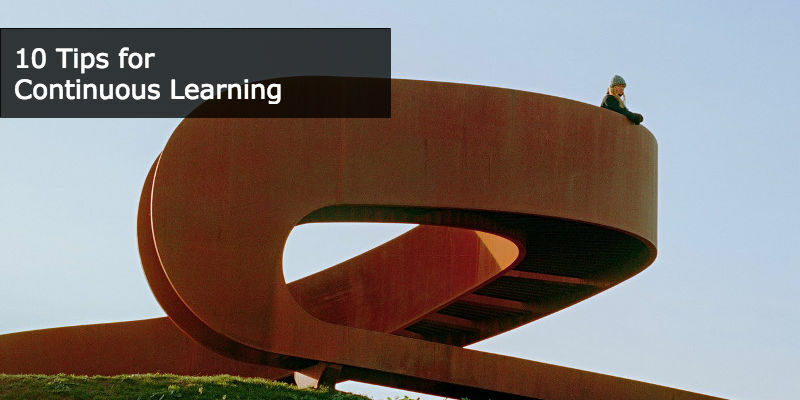 In corporate learning settings, our sources for learning tend to be quite narrow. We commission courses or create resources to address defined goals. But that’s a very limited approach to continuous learning. There are 3 million blog posts published every day. Some of them are relevant to you. So you need to look beyond fixed, event based formal learning to stay up to date every day. 60% of people say they learn more from external sources than they do from formal courses. The key message to L&D professionals: Look beyond your internal courses and resources and efficiently find what’s relevant, and empower people to do it for themselves. The latest content on Bitcoin, Big Data or Team Leadership is not in your intranet or in your Learning Platform. It’s on the web. That can be a problem for continuous learning. Spending time searching for content is one of the biggest time wasters in the knowledge worker’s life. The role of the L&D team should be to enable continuous learning by providing a steady stream of recent and relevant content aligned to people’s interests, and put it in the right channels so it’s easy for people to discover and consume. In your business that might be your Slack channel, your Yammer, embedded into internal Learning or Social platforms via plugins and APIs, or an email round up. 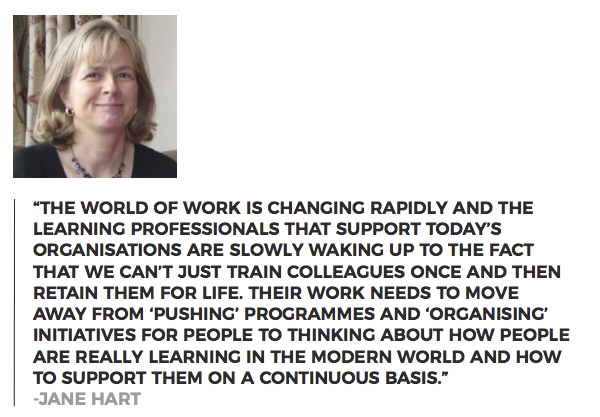 As Jane Hart has put it, we need L&D professionals to be more like a content concierge. If all you’re doing is sending people to an LMS full of courses, that’s not offering much choice. 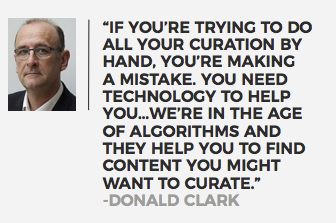 That doesn’t mean you need to manually search the internet for everyone (unless that’s your kind of thing). Machines can help you. It updates every 4 hours with new content from your preferred sites and sources. You can save a lot of time by getting a machine to browse, aggregate and compile recent and relevant content for you. Spend that time learning instead. Spaced learning. Not quite as psychedelic as it sounds. Just the idea that rather than cramming, you’re better off returning to new learning to reinforce and practice it on regular intervals. So for example, if you’re trying to immerse yourself in a new subject, set daily alerts to yourself on new content or remind yourself of the key information every monday, wednesday, friday at 10am. Get into a habit of pausing, absorbing, and moving on. Let it go from your working memory into your long-term memory. Repetition is an effective way of doing that. More effective still is actually applying it, of course. You need to build the practice habit. BJ Fogg is good on this too. He suggests that to build a new habit, anchor it to an existing one, for example, after my first coffee I’ll read one new article. After I get on the train I’ll read one more. Building micro-habits like this adds up to a substantial amount of learning over time. Just keep it small and simple to start with, and make it really easy to have good quality content to hand every time (which is what automation enables). Journalling: It’s not just for teenagers. Harvard research found that workers who spent 15 minutes at the end of the day writing and reflecting on what they had learned that day were 20 percent more productive than those who had not. Reflection helps to hardwire the learning and make it more available to your future self. Ask yourself what you’ve learned today, how it helped you, what you’ll do differently tomorrow. As they say in the Army: Plan, Do, Review. And if you’re willing to share your learning with others as great social learners like Jo Cook for example do – you help other people too. Sometimes what holds us back in continuous learning is a limiting belief, that we’re just not meant to be good at something. Others are more naturally talented in that area, leave it to them. It’s what Carol Dweck calls a fixed mindset: believing you’ve either got it or you don’t, and no amount of learning is going to close the gap. On the other hand, you can have a growth mindset – believe that everyone, including you, is capable of continuous improvement through learning and practice. Not hard to guess which on side of the mindset you’ll find continuous learners.